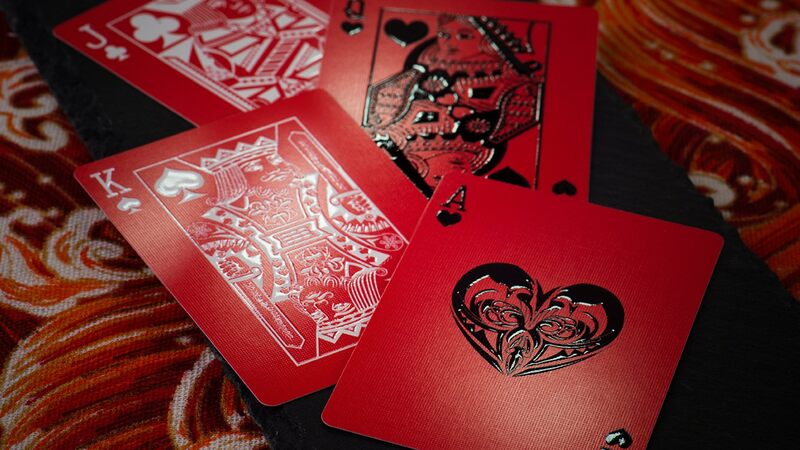 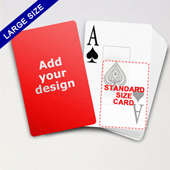 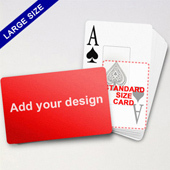 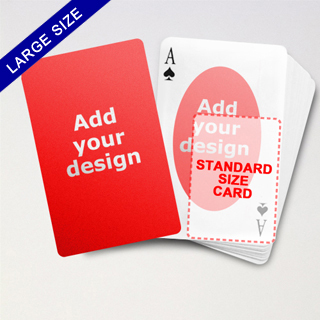 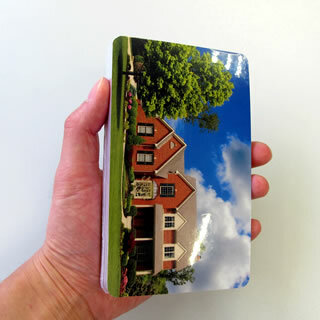 Measuring 89mm (w) x 146mm (h), the Large Playing Cards Series is designed to impress and catch consumers’ attention with an out-of-box format. 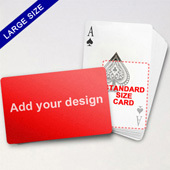 You can add 1, 4, 13 or 54 designs on the card backs to make it a unique and collectable gift. What’s more, with our web-based builder, you can literally make the cards yourself. 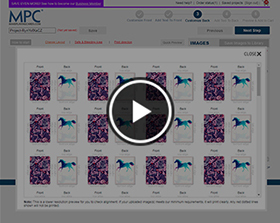 Simply upload your images to the system, adjust the positioning, style or photo size to your designed effect. 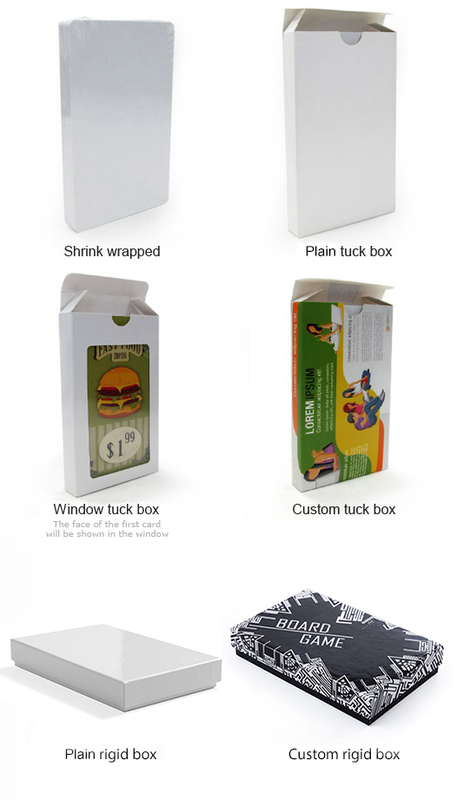 Preview the whole set before placing order. 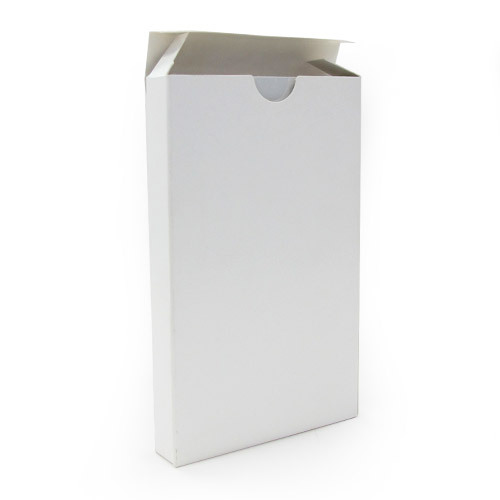 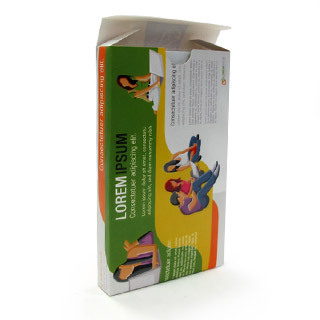 Depend on where you are, delivery can be made in slighly longer than one week.